Things we talked about in the pediatrician’s office today….. When life upends us in sudden, unexpected ways, how shall we live? 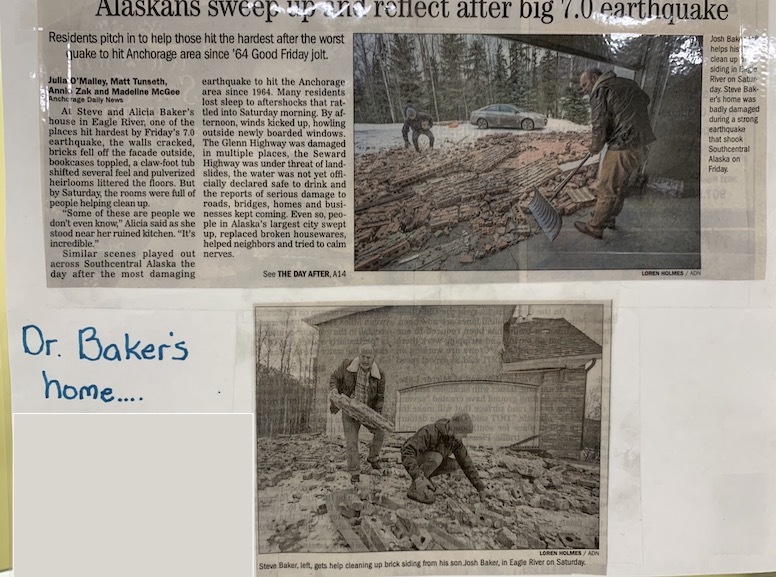 Somehow I missed seeing this article that was surely sitting on my dining room table for a day or two after the earthquake – the lede + photos feature our pediatrician! The article was hanging by their reception desk when we went for a routine appointment today….and then the stories the doctor and his wife told us!!! yikes. The unpredictable, life upending dramas and traumas. And yet also….gratitude.